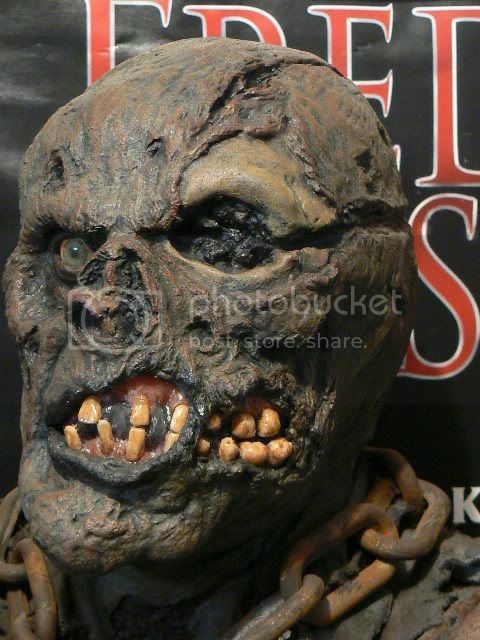 “THE NEW BLOOD” Museum Edition.This foam filled bust was created with the actual screen used appliance molds. 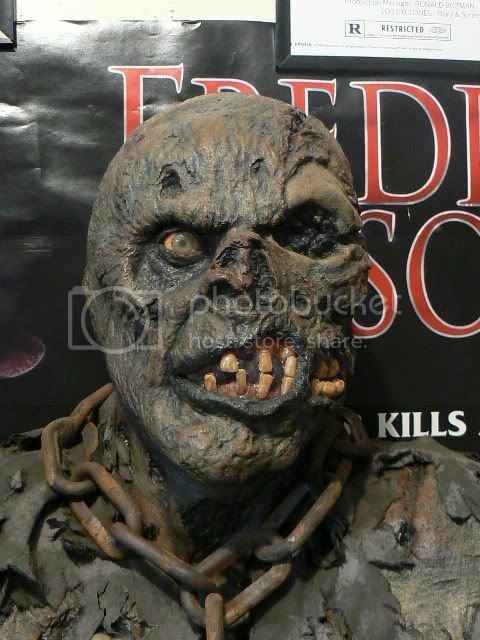 The appliances were cast up from the movie molds and then reassembled on a life cast bust of actor Kane Hodder. Then cast as one complete piece. This was all done by MMI associate Brad Hardin under the supervion of the film's director &amp; F/X artist, John Carl Buechler. 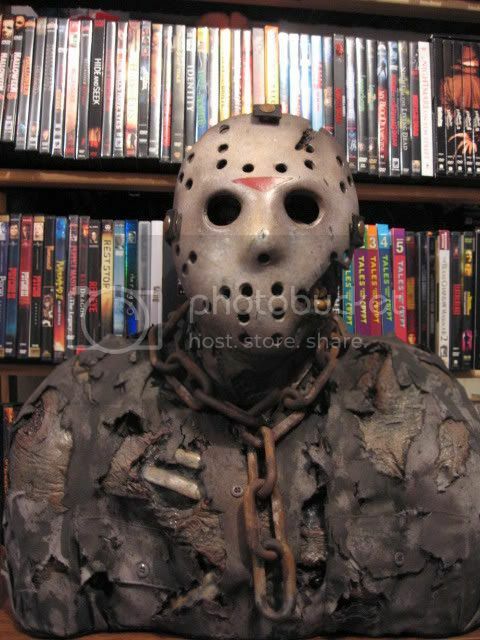 Included with the bust is a removable hockey mask made directly from the screen used movie mold. 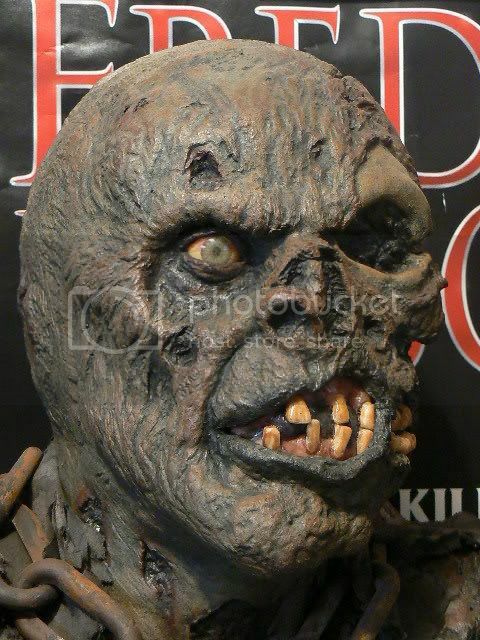 The mask is made of fiberglass with leather straps. The bust also includes an acrylic eye and teeth. As well as a screen accurate chain and shirt. All of the paint and finishing work for both the bust &amp; hockey mask is done by Brad Hardin. This was a limited edition to only 30 made(not sure if all 30 were made). 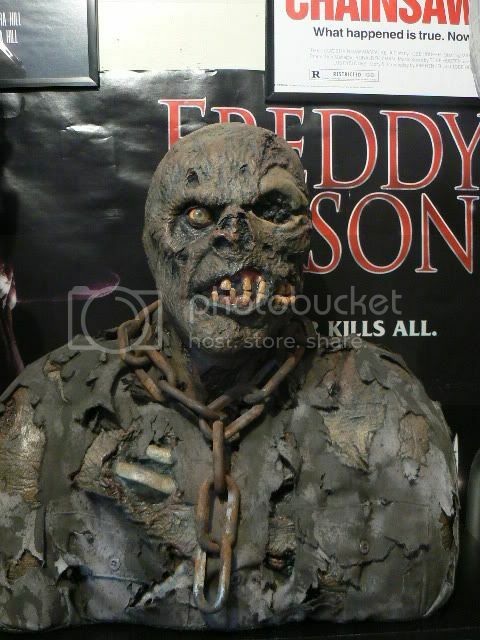 Each bust comes with a gned &amp; numbered certificate of authenticity from John Carl Buechler &amp; Brad Hardin. wowww. . . . . . . . ..i usually dont like busts. . but. . .
woww. . . . . . . . . . .. . .
Looks great Doug! Did you recognize your old 'Dead is Better' Pascow bust? Doug it looks like you have quite the reputation! If these guys know ya you can't be nothing but trouble!!!! Welcome aboard, hope you enjoy your stay with us. This is definitely making it into the HOF! lol Thanks for the welcome guys. I have been tempted to pick one of these up. I can't say "yes" enough!! I'm not just saying this for effect, but in the short time that I've been posting on here, I have to say that's one of the most impresve things I've seen anyone post on here so far. The detail is just superb!